Welcome to our information website about the magnificent representatives of fauna – monarch butterflies! We are extremely happy to introduce these magnificent creatures with wings that are able to impress your imagination from the first sight. While working as an engineer-designer for many years, I have dealt with (with very sophisticated electronic devices, including navigation equipment for various safety devices as well as devices that help to navigate in space. I should mention that the technological level of systems through which people were sent to the moon is phenomenal. However, the navigation system, which is inserted into the brain of the monarch butterfly, and with the help of which it is able to create and perform its stunts in the migration process, shows that here we observe a higher level of technology. And it’s all packed into a brain the monarch butterfly, which is no bigger than a pinhead! 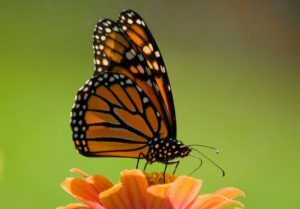 Are there any general facts about the monarch butterflies? Monarch Butterflies are the kings in the world of butterflies. These are the only insects capable to overcome the vast distances of 2,500 miles to their wintering places in warm countries. During their lifetime, they have to face a lot of difficulties, since they cannot survive the cold weather, and the main source of food doesn’t grow in the wintering grounds. 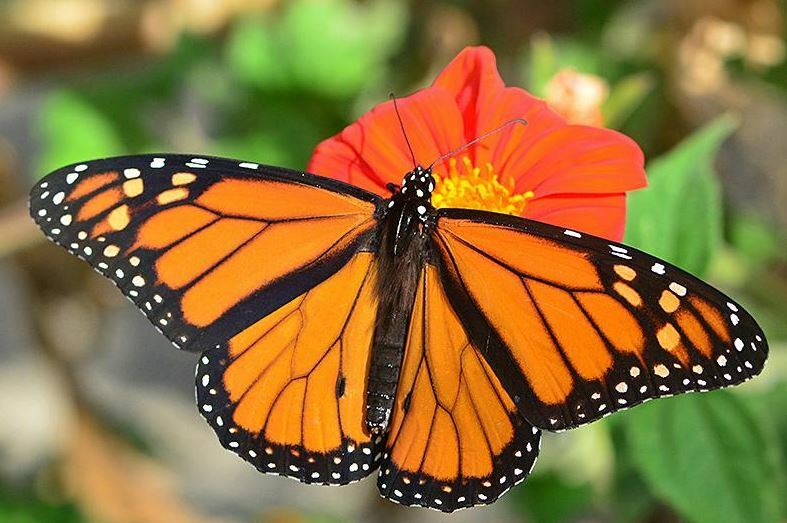 What is the life cycle of monarch butterflies? The monarchs spend their winter in southern California. In February or March, they wake up to start moving to the north. Shortly after waking up, they mate and lay their eggs on the plants. The first generation of monarchs will be in the form of caterpillars. You can easily find them on the plants. Then they turn into pupae, well then in butterflies lay their larvae and immediately lost. Here is monarchs’ lifecycle. The second and the third generation follows the same cycle and lives for 2-6 weeks, gradually moving to the north. The fourth generation is different from the first three. It is known as Methuselah, comes in September and lives for 6-9 months. Cold weather doesn’t allow them enough developed to lay eggs. This generation will migrate south during this time. What are the peculiarities about the species? The monarchs feed on plants and milkweed, which grows in a familiar environment in winter. This happens mostly because they have to migrate to the north. The thing is that the monarch’s caterpillar releases a toxin that protects against predators; they hunt almost nobody because monarchs don’t need camouflage. On the contrary, their bright color deters predators. While the caterpillars feed exclusively on latex, the adult butterfly can feed on nectar from flowers. Monarchs face many obstacles in their struggle for survival. First of all, it is pesticides, which poison the agricultural crops. Agriculture and urbanization contribute to the destruction of plants, as they are considered. Logging and global warming are also detrimental to the butterfly, destroying their winter home. Fortunately, these beautiful butterflies are protected from extinction. In many national parks and biosphere reserves they are provided protection by promoting proliferation of generations, as well as specially cultivated plants and flowers needed to these creatures. This tiny and beautiful insect – monarch butterfly – can perform migration flight over thousands of kilometers, reaching exactly the place it had never before been seen. For example, some monarchs fly from Nova Scotia (Canada) in the mountains, located in the west of Mexico City, sometimes a total distance of 5,000 kilometers. They fly not only in the same place where their ancestors migrated, but very often to the same tree! By anniversary we mean a date that is remembered and celebrated for a special and notable event that occurred sometime back at the exact date. Who doesn’t love weddings? Weddings are very important and beautiful events worth remembering and celebrating. We have different types of wedding anniversary; silver anniversary, celebrating 25 years of marriage, golden anniversary, 50 years of marriage and diamond anniversary to celebrate 60 years of marriage. A celebration cannot be complete without gifts. Gifts are items given to someone without any expectations of payment. Choosing a gift can be a task, you have to choose something beautiful. And we have a special tip for you – www.anniversarygiftsbyyear.org is a great recourse where you can find the present you are looking for! What is more beautiful than the monarch butterflies? Starting from their color, they are reddish-orange with black vine-like butterflies. Butterflies are beautiful. They bring the sense of nature. Think of the world without butterflies. This would mean fewer flowers, the world would be so dull. Going for butterfly items during a wedding anniversary would a good choice. Like for example you would buy a jewelry in the shape of a butterfly; earrings, bracelets, necklaces, decors and hairclips. This items could go with the type of anniversary that is, if it is a silver anniversary you buy a silver item and on a golden anniversary buy a gold item. Another good butterfly item would be items decorated with butterflies, clothing, cards, a cake, a clock wall, wrist watch etc. you can also choose to wrap you gift with wrappers decorated with butterflies. Giving flowers items with butterfly monuments hanging wouldn’t be a bad idea. What of you decorate the party venue with butterflies? All these would be good and fine ideas for gifts on a wedding anniversary celebration. 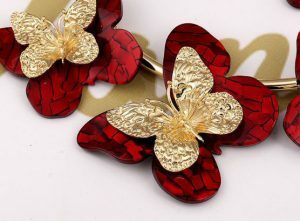 No single person wouldn’t love butterfly items for a gift. Butterflies are a presentation of love. Think of the butterflies you get in your tummy when in love.